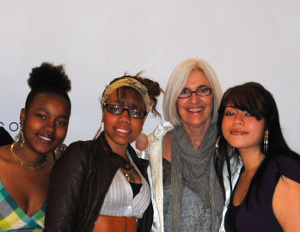 Designer Eileen Fisher started her business withÂ $350Â in savings. Today, her company is giving back with its ninth annual Business Grant Program for Women Entrepreneurs.Â The program celebrates women owned/led companies that are not only innovative but also socially conscious. The EILEEN FISHER Business Grant Program for Woman Entrepreneurs was launched with an individual grant ofÂ $20,000Â to commemorate the company’s twentieth anniversary. Every year, since its inception, grants have been awarded each year to wholly women-owned businesses that are innovative, socially-conscious and committed to sustainability.Â This year, up to five grants ofÂ $12,500Â will be awarded to prospective applicants. Recipients will also attend a two-day conference inÂ New York City, meeting with past beneficiaries of the business grant and other EILEEN FISHER teams in early 2014. A longtime advocate of supporting businesses working to create a positive impact, Fisher created the Business Grant Program for Women Entrepreneurs in 2004. Only for-profit businesses or for-profit/ nonprofit hybrids (social enterprises) will be considered for this grant. Applications for the 2013 Business Grant Program for Women Entrepreneurs will be accepted untilÂ 11:59 ESTÂ onÂ May 31, 2013.